Sennheiser has a long history of making high quality audio headphones. When I recently got the chance to take a look at their 7.1 surround sound headset, the PC 373D, I was reminded of my previous experience with a Sennheiser headset, which set the bar very high. Looking at the weighty price point of the PC 373D headphones, a hefty $249.95 at the official Sennheiser website, I was hoping they would be just as good of an audio experience. Our look at the Sennheiser PC 373D begins with its overall design and build quality. In terms of its looks, the PC 373D is actually very similar to the PC 350, but mixed with some features from the PC 360 headphones. It’s as if the two headphones made a child together. 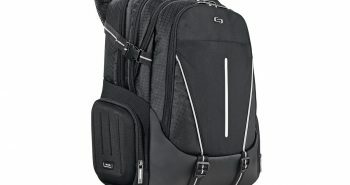 It has the ear cups and mic design of the PC 350 and the headband style of the PC 360 – all while keeping its predecessors’ light weight and comfort. One of the things I loved about the PC 350 was how comfy the ear cups were on the sides of my head and the PC 373D headphones are terrific. I wore them for several hours at a time during my usage and never experienced ear ache or unnatural pressure on the sides of my head. Something that it brings over from the PC 360 is the volume dial on the right ear cup. I love this control and it makes fine adjustments easy to accomplish. 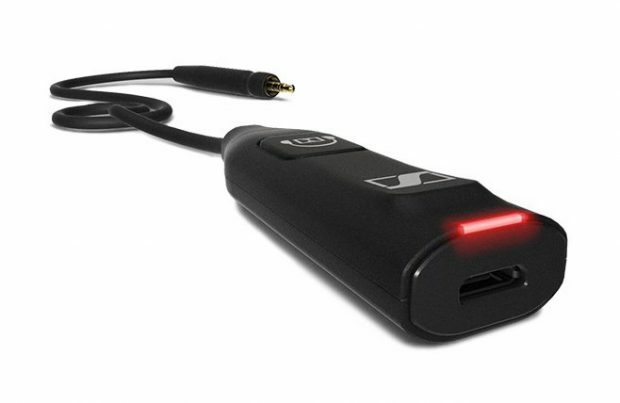 Sennheiser does use a strangely-thin audio cable for the PC 373D. I was hoping that they would opt for a braided cord but the current cord material feels pretty thin. But, I digress… On a positive note, the headband feels really sturdy and I can’t see it breaking anytime soon. The virtual 7.1 surround sound is accomplished via downloadable software as well as the use of the USB dongle that comes with the headphones. It is a strange setup in opposition to how many other virtual surround sound headphones work but, in this case, the headphones connect to the dongle via mini-USB port, and then from the dongle to your computer via 3.5mm audio jack. Unlike other headphones, you need the dongle as, without it, you are left with a mini-USB cable that won’t connect to any audio output ports. My advice is DON’T LOSE YOUR DONGLE! The virtual surround software has several presets, such as music and gaming, and all seem to work very well in creating virtual channel separation. Usually, I am not a fan of virtual surround sound, opting for much heavier real surround sound headphones. That being said, I actually loved listening to the PC 373D’s crisp audio and separation. They have shown me that virtual surround sound can be just as good – if not better in some ways (the biggest way being the decreased weight in not having seven drivers in the headband, saves the neck a lot of stress). 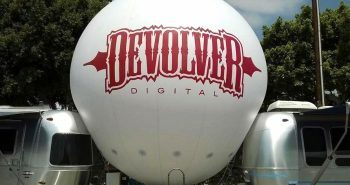 I played a whole library’s worth of games using the Sennheiser PC 373D’s – from Fallout 4 to EverSpace to Flight Simulator X to…. Well, a lot more titles from a variety of categories. I also listened to a good amount of music on them. Moving on to its microphone, the boom mic picked up my voice with great clarity during several sessions of online RPGs via Roll20.net and on TeamSpeak servers. The best part of the microphone boom is how it mutes itself when you swivel it upward. I wish more headphones did this as it is such a natural movement and you always know whether your mic is hot or not. The optional noise cancellation algorithm is also very good and I never saw a reason to disable it during my usage of the headphones except while I was testing it out. 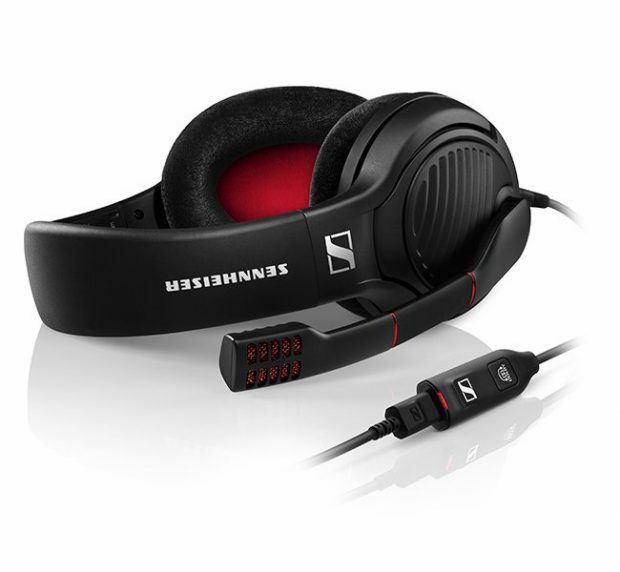 Overall the Sennheiser PC 373D 7.1 surround sound headphones are terrific. The audio quality is great, microphone pickup perfect for gaming or chat, and its construction is super-comfy. Sennheiser continues to impress me. I just wish that they used a more durable cable material, like a braided cord. Truth be told, the biggest drawback in reviewing this pair of headphones is knowing they have to go back after my evaluation period is over, but I digress. 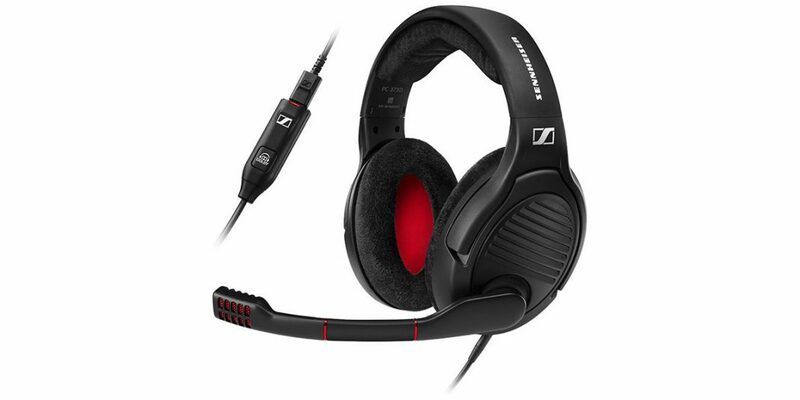 At $249 dollars, the Sennheiser PC 373D headphones are an excellent choice whether you are gaming or playing your favorite tunes.